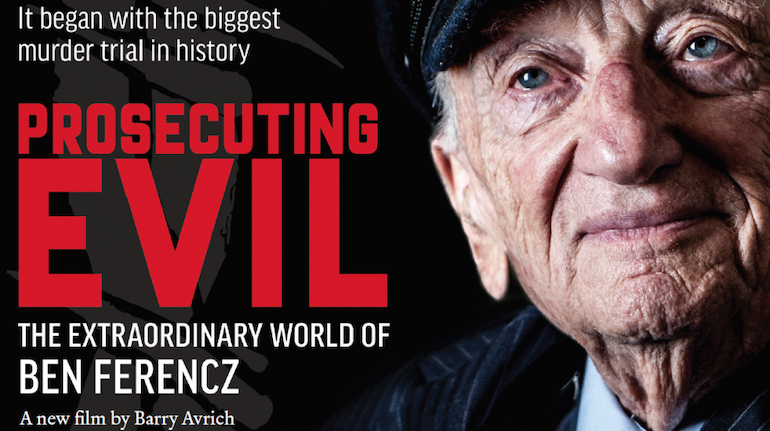 This gripping new documentary captures the life of Ben Ferencz — the last surviving Nuremberg prosecutor and lifelong advocate of “law not war.” After witnessing Nazi concentration camps shortly after liberation, Ferencz, then only 27, became lead prosecutor in the Einsatzgruppen case at Nuremberg, which has been called the biggest murder trial in history. Ferencz went on to advocate for restitution for Jewish victims of the Holocaust and later for the establishment of the International Criminal Court. Guest Speaker: Amos Guiora, Law Professor, University of Utah; Lt. Col., IDF Retired. Sponsors: EBIJFF, Contra Costa JCC & Cong. B’nai Tikvah. Underwritten by the Oshay Family Foundation.